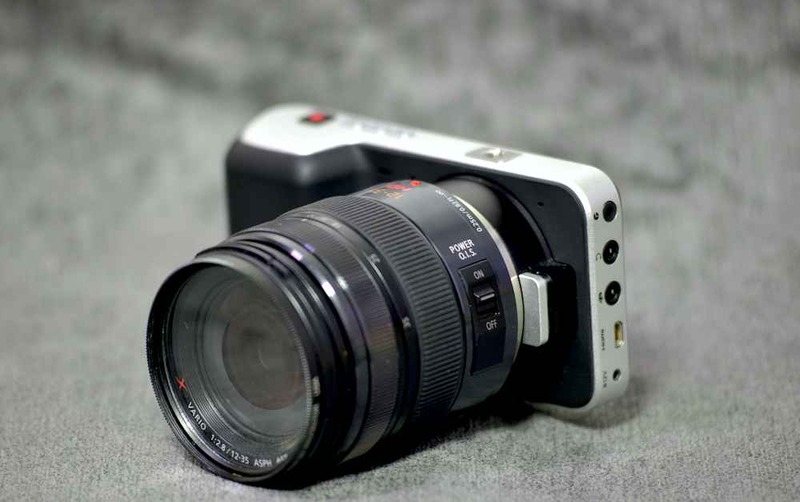 The Blackmagic Pocket Cinema Camera and Panasonic 12-35mm lens. Blackmagic Design is a company that’s not afraid to challenge convention. 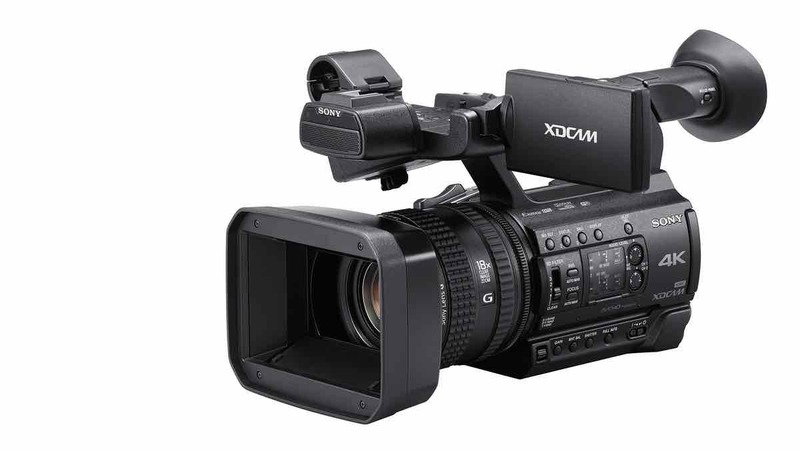 It Cinema and Production cameras have brought uncompressed video recording to new price points, albeit with radical designs – and sometimes, design compromises. The Blackmagic Cinema Camera records RAW or compressed video, in 12 bits with 13 stops of dynamic range, directly to an SSD. There is nothing else really like the camera on today’s market. The 4K version, the Production Camera, combines similar features with a Super35mm sensor. Both cameras, though, are aimed really at areas such as lower-budget features, or drama production. 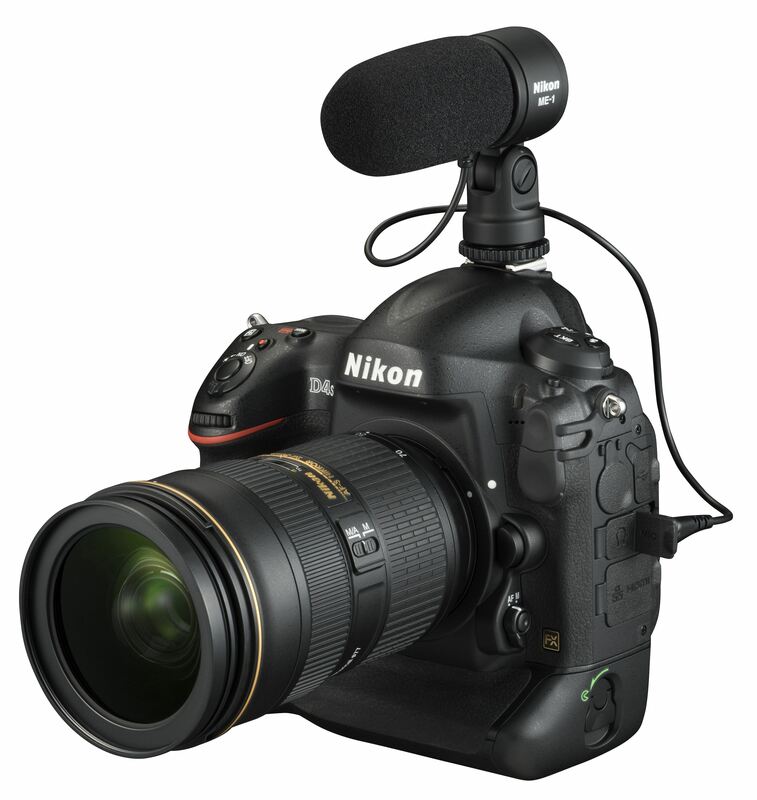 The cameras’ form factors and features would make them an idiosyncratic choice for news, although they are being used successfully in documentaries and corporate video work. The Blackmagic Pocket Cinema Camera is perhaps an even stranger device. At a time when most manufacturers are looking at larger sensors for their cameras, the Pocket Cinema camera has gone in the other direction, with a Super16mm sensor. The only other dedicated video camera to use this sensor size – which is actually smaller than the Micro Four Thirds chips used in, say, the Panasonic GH4, is the Digital Bolex. That is arguably also a rather quirky camera, as DP Philip Bloom notes. But Blackmagic have combined this fairly small sensor with raw recording – and put it all in something the size of a pro-spec compact camera. The result is one of the more interesting, if unusual, recent video camera designs. The Pocket Cinema Camera is certainly pocket sized. It is smaller than a DSLR or a camera such as the GH2; it is more in line with perhaps a Panasonic GF6, an Olympus PEN, or the Sony A5000. With a small prime lens attached, it really does fit in the pocket. The appearance of the camera is also simple, to the point of being no frills. There are no dials on the body, just a single record button, which is positioned, comfortably enough, on top of the handgrip. Note that this is only a record button: the Pocket Cinema Camera cannot record stills of any sort. Next to this – and this is perhaps a strange choice for location – are play, forward wide and rewind buttons. Most of the camera’s shooting functions are controlled by the on-screen menu on the rear LCD, and a four-way set of buttons: the only dedicated buttons are iris, focus, menu and power. 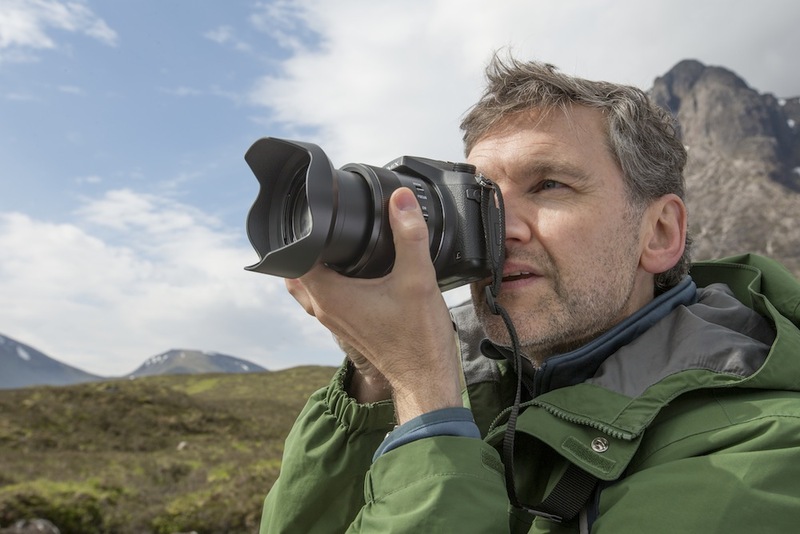 Note that the iris button simply activates the iris setting mode (controlling the iris electronically on compatible Micro Four Thirds lenses) but it is not a dial: you still have to use the four-way buttons to set aperture. The display is clear enough for this purpose, but the lack of dedicated buttons for say, shutter speed, gain or audio levels means that you will need to use the menu for a lot of other settings. 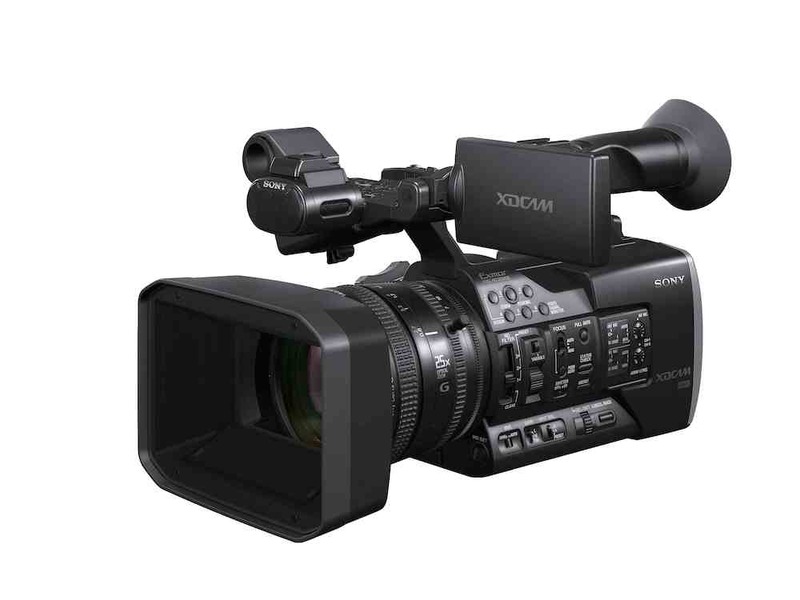 The four-button system is not as quick to use as, say, the thumb wheel option on some Sony video cameras, or the joystick on Canon’s C100, although given the size of the camera it is workable. A touch screen, of the type on the Cinema Camera, would work better. The rear LCD display is also, though, also the only viewfinder: there is no EVF on the camera. The camera does have an HDMI output, via a micro connector. This allows for using an external EVF. Our own Cineroid EVF worked perfectly well with the camera, but was almost as large as the camera itself. To the side of the camera are connections for a LANC controller, a 3.5mm headphone socket, 3.5mm stereo mic socket, the HDMI out, and a 12-volt power socket. This charges the battery in camera; there is no external charger supplied, but the battery type is the same as in Nikon’s 1-series cameras, so external chargers are available. The card slot and battery compartment are both accessed from the underside of the camera. The camera itself is, though, commendably light, at 350 grammes.